New discovery! Zucchero’s La Sesion Cubana! Home/New discovery! Zucchero’s La Sesion Cubana! 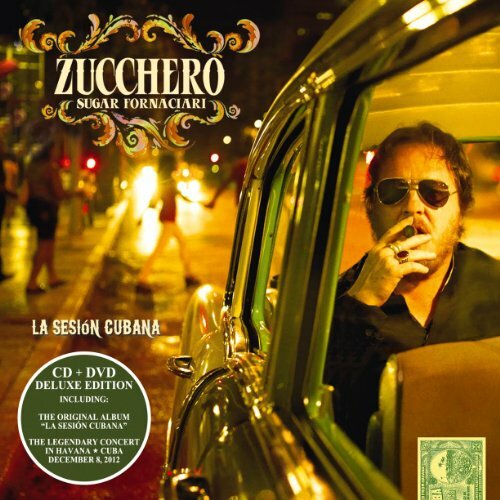 Zucchero “Sugar” Fornaciari’s La Sesion Cubana gives me a taste of Havana! 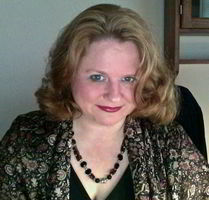 One of the greatest things about being a music blogger is that I occasionally get to discover artists and promote them. Italian rock star Zucchero “Sugar” Fornaciari has been around a long time, but I just discovered him days ago when I scored a promotional copy of his latest album, La Sesion Cubana. I really knew nothing about Zucchero when I agreed to review this album, but was impressed by his Latin flavored cover of “Everybody’s Got To Learn Sometime”, a song that was originally a hit in 1980. Since I am a sucker for retro hits from the 70s and 80s, I wanted to hear more of Zucchero’s music. I played Zucchero’s La Sesion Cubana for the first time on Sunday afternoon. As soon as the music started, I immediately felt like dancing. This album was obviously a labor of love for the Italian blues-rock singer, who has long dreamt of recording in Cuba with the best native musicians in Havana. The end result is a fun mix of Latin, Cuban, Tex-Mex, and Mexicali sounds that practically beg you to get to your feet. This album was released on February 18, 2014 and includes music recorded live at the Legendary Concert in Havana, Cuba on December 8, 2012. 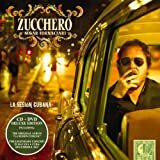 La Sesion Cuba features seven brand new songs and six newly arranged versions of Zucchero’s previously released European hits. My deluxe copy of La Sesion Cubana includes a DVD. As much fun as it is to just listen to the CD, watching the DVD really adds to the experience. Zucchero and his band have a lot of fun with their live performance, which includes festive backup singers dressed in colorful Cuban inspired costumes. I enjoyed watching the horn section accompany Zucchero’s soulful singing, and the acoustic guitar player’s fingers nimbly dance across the guitar strings with intricate Latin infused melodies. The DVD is a treat for the eyes as much as the music is a gift for the ears. Interspersed within concert footage, there are video clips that depict Cuban people and the complexities of life there. Besides the docufilm, the DVD also includes bonus videos for two songs, “Never Is A Moment” and “Quale Senso Abbiamo Noi”. Though you can purchase the CD or download alone, the deluxe CD/DVD package is definitely worth it– you get more than two solid hours of entertainment and the pleasure of watching Zucchero perform with his excellent band. Zucchero sings one of his new songs, “Guantanamera (Guajira)”. Try to sit still for this one! Zucchero’s haunting cover of “Everybody’s Got To Learn Sometime”, a song that was originally made popular by The Korgis in 1980. Zucchero actually first covered “Everybody’s Got To Learn Sometime” in 2004, when he performed it as a duet with Vanessa Carlton. The version on La Sesion Cubana is a new one, performed as a solo with subtle Latin accents. The song “Pana” features Spanish singer “Bebe”, who adds even more spice to this very saucy number. I’m listening to this song in my office this morning and I have to admit, it’s getting the blood flowing! The music is so festive and energetic that I can’t help but wake up and greet the day. I am especially impressed by the high octane horn section on this song. “Ave Maria No Morro” is an inspirational duet with Brazilian star, Djavan. I really enjoy the soulful collaboration of Zucchero and Djavan, another artist with whom I was not acquainted before I listened to La Sesion Cubana. The slower, more emotional sounds of this song nicely complement the lively salsa rhythms on the rest of this album. By contrast, there’s the very frisky “Baila”, which I think is my favorite song on this album! “Baila” is remade Latin style for La Sesion Cubana and from the looks of the way the audience reacts to it, I think it’s a hit! This song reminds me a little of something I might hear by Santana. While La Sesion Cubana is my first taste of Zucchero’s music, I can say without hesitation that it won’t be the last. I really enjoyed La Sesion Cubana and now I want to hear more by Zucchero! It gets five stars and a hearty recommendation from me! If my review has turned you on to Zucchero’s La Sesion Cubana, you should try to catch him live. He’s on tour in the U.S. and Canada this spring! I received a complimentary copy of this album in exchange for my honest opinion of it.